Not sure which room you need? Click here for descriptions and photographs of the following rooms. Go to Provost's Conference Room for information about the room and how to reserve it. To reserve the Stanton L Young Walk contact Facilities Management. Required form for non-university sponsored events requesting use of Library Building facilities. Charges may apply. Nonaffiliated users must also complete the Facilities Use Agreement form. Charges may be associated with using a facility. Open/busy times can be viewed by creating a meeting with the room in Outlook. These rooms are listed as resources in Outlook (LIB299, LIB489, LIBLOB, LIBPAT, PCLAB, Garden, Molly Shi Boren). LIB299, LIB489, LIBLOB, LIBPAT, Molly Shi Boren Garden - Bird Library Administration (bhsladm@ouhsc.edu). For questions not answered on the website call 271-2285, opt.5 or x48755. PCLAB - Bird Library NPM Computing (bhslnpm@ouhsc.edu). For questions not answered on the website call 271-2285, opt.6 or x48756. You'll need to provide the following information when using one of the methods listed below to make a reservation. Any event held in the Library Auditorium (299), Room 489, Patio and/or Lobby will require that parking arrangements be made at least 7 days in advance of the scheduled event by emailing OUHSC Parking Services at Parking@ouhsc.edu. Alternate parking facilities will be arranged according to availability. Default parking for all events held in Library is on the south side of the Harold Hamm Oklahoma Diabetes Center (HHODC) at 8th and Lincoln. The campus shuttle system has a pick-up/drop-off location on the East side of the parking at HHODC (stop 6). Stops 10 and 11 on the route are the closest to the Library. On campus participants are expected to walk or use the campus shuttle bus system. Unauthorized vehicles in the 10W Lot will be ticketed. Only OUHSC Faculty, Staff, and Student sponsored organizations are eligible to reserve rooms/areas. Students wishing to reserve a room must have a faculty/staff contact who is willing to reserve the room and assume responsibility. The scope of non-recurring events permitted by non-university groups are exclusive to academic or health-related training purposes. Non-affiliated users must obtain permission from Library Administrators before being eligible to use Library facilities. To unlock a room contact staff at the 3rd floor Service Desk to unlock or lock a room. For the Auditorium (299) go to the 2nd floor Circulation Desk. The Library conforms to the Guidelines for a Drug Free Work Place. 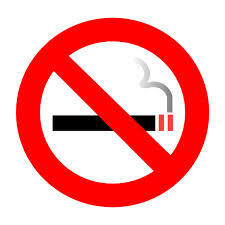 OUHSC is a tobacco-free campus. The policy applies to every person on any University of Oklahoma campus, including visitors, faculty, staff, volunteers, students, alumni, contractors, and service representatives. The policy includes all OU-owned, leased, rented, or maintained property, including, but not limited to: buildings, facilities, sidewalks, roadways, parking lots, and grounds. The policy also includes all University owned, leased, or rented vehicles. For more information, click to review the OU Tobacco-Free policy. Persons reserving rooms must be responsible for returning the room to its original state by turning off equipment and lights, shutting and locking doors, and returning keys. An email confirmation will be sent to the individual making arrangements. You will be notified if the requested room is not available. Although the Library will make every attempt to honor the room reservation, please be aware circumstances beyond our control may arise that require you to find an alternate location. To cancel a reservation the requestor needs to send an email to Administration at bhsladm@ouhsc.edu; for the PCLAB email bhslnpm@ouhsc.edu. A key to the Auditorium (299) is available at the Circulation desk on the second floor. A key for room 489 is available at the third floor Service Desk (anytime) or in Library Administration (Rm. 378), 8-5 p.m., M-F. Schedule 30 minutes before and after the actual event time if audio visual (AV) equipment set-up/removal or other setup is needed. Arrangements for AV equipment need to be made at the time of the reservation request. This includes telephone, white board markers and eraser, video conference equipment use, laptop(s), etc. Special AV Equipment needs for the Auditorium (299) can be arranged through Academic Media and Digital Services (271-2318). A standing podium is available for use in the Lobby area. One can be reserved at the time the Lobby reservation is made and bears the seal of the University of Oklahoma. If audio is needed (mic and speakers) please contact the Biomed Shop (x48315) to arrange for this. The library has one table-top podium available equipped with a microphone and speakers. A limited number of tables are available in the Library. The requesting department is responsible for setting up and taking down tables that are utilized. Chairs and tables needed for larger events will require the requestor to make arrangements through a third-party vendor. Table arrangement in 489 is handled by the requestor. If assistance is needed to move furniture from the Lobby or Faculty Atrium fill out a Moving Request (SUR). See example form below.